The Cathedral Archives collects according to the Cathedral’s Collection Development policy. Please note that the historic library and archive of the Archbishops of Canterbury is held at Lambeth Palace Library. Fuller details of our collections are given on the Archives catalogue and the Library catalogue. For some highlights from our archives and printed book collections, please see ‘Picture This…’. For the Cathedral’s Privacy Notice, please click here. Access may be restricted to some material which may contain personal information about living individuals. If you think you may be interested in consulting such material, please contact us. The historic records of the Cathedral date back to the 9th century. In the collection, there are some 20 Anglo-Saxon charters, which date from before the Norman Conquest of 1066. Taken together, these are the Cathedral’s oldest possessions, which predate any of the buildings seen standing today. The archive tells the story of the Cathedral, its buildings, its estates and its community from medieval times right up to the present day. A rich collection, ranging from paper or parchment documents, some with seals, to photographs and architectural drawings, it has always been kept within the Precincts. 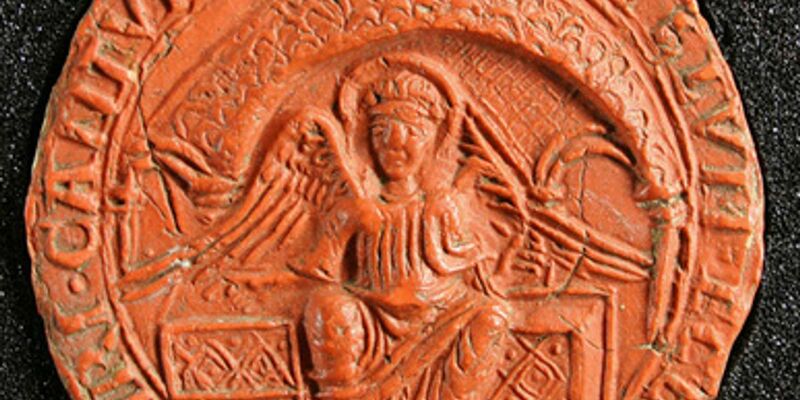 In 2016, the pre-Reformation archive of the Cathedral was added to the UNESCO UK Memory of the World Register, thus gaining recognition as one of the most important collections of its type. It includes the charters, registers, financial and administrative records, estate records and court records kept by the medieval Cathedral. The Howley-Harrison collection is the largest individual collection in the Library, made up of approximately 16,000 books and pamphlets. It includes part of the working library of the Victorian Archbishop William Howley and the personal library of Benjamin Harrison, Howley’s personal curate and later Archdeacon of Maidstone, as well as books and pamphlets belonging to Harrison’s father and his friend, the abolitionist Sir Robert Harry Inglis, MP. The whole collection was given to the Cathedral on Harrison’s death in 1887. Apart from fascinating texts on natural history, archaeology, travel and of course theology, there are tracts on the English Civil War and on slavery, fine examples of early English printing, and several 15th– and 16th-century illuminated Books of Hours. Other significant holdings include the books of the Anglo-Saxon scholar William Somner (c. 1606-1669), books donated by Stephen Hunt, a local physician, in 1714, and the Coombe collection of early printed Bibles, given by Canon Thomas Coombe (d. 1822). The Library holds substantial runs of the Gentleman’s Magazine, Annual Register and Edinburgh Magazine. The Library continues to subscribe to a number of current journal titles. The Cathedral Archives and Library is home to two very significant collections of artefacts. The first of these is the silk vestments in which Archbishop Hubert Walter was buried in 1205. The second is the collection of objects acquired by Dr John Bargrave, a canon of Canterbury Cathedral, during his travels around Europe between 1645 and 1660. The Bargrave collection is still kept in its original cabinets. For more information, and a virtual tour of Bargrave’s cabinets of curiosity and his travels, see the Bargrave webpages. The Cathedral Archives is the record office for the City of Canterbury. It holds the records of Canterbury City Council and its predecessor bodies, which date from the 12th century right up to the present day. These records make up a rich resource for the study of all areas covered by the current boundaries of Canterbury District, including the coastal towns of Whitstable and Herne Bay. We also hold the records and music of the Canterbury Catch Club. Founded in 1779 and continuing until 1865, the Catch Club was one of the foremost social clubs in the city. The members met in a local pub to sing catches (a type of round), glees, duets and solo songs. The Archives and Library holds the parish records for eastern Kent, more specifically the records of parishes included in the pre-2011 Archdeaconry of Canterbury. In order to identify whether we hold parish records for a particular church, please see the guide produced by the Kent History and Library Centre. Most of our parish registers are included on Findmypast. We also hold the parish libraries of Preston-next–Wingham and Elham, and the rectorial library of Crundale. The Preston Parish Library still survives in its white-painted oak carrying case. It was given in 1710 ‘for the use of the vicars’ of Preston by the Trustees for Erecting Parochial Libraries. Some 41 of the original 67 volumes are still in existence with their own distinctive bookplate. An attached shelf-list records the original titles in the library. Important, please note: The archive collection of the Diocese of Canterbury is no longer held at Canterbury Cathedral Archives. It has been moved to the Kent History and Library Centre in Maidstone – see https://www.kentarchives.org.uk/ This collection includes tithe records, church court records and visitation records. Existing microfilm copies of this material remain at the Cathedral Archives. The records of East Kent Parishes (including registers of baptisms, marriages and burials) remain at the Cathedral Archives. Please contact us with any queries. The Archives holds the records of the following parish councils: Blean, Chartham, Fordwich, Hackington, Harbledown, Littlebourne and Kingston. The Archives holds the records of numerous local individuals, families, organisations and businesses, mostly for the Canterbury area. These include the records of St Augustine’s Missionary College, records of local hospitals and almshouses, and the archive collections of local churchmen. There are 1,000 volumes in the Antiquarian section of the St. Augustine’s Missionary College library. The books represent the work of many English and Continental printers with many titles in Greek and Latin. The collection is particularly strong on Patristics, including, for example, editions of the writings of Saints Aquinas, Justinian, Cyril and Isidore of Pelusium.